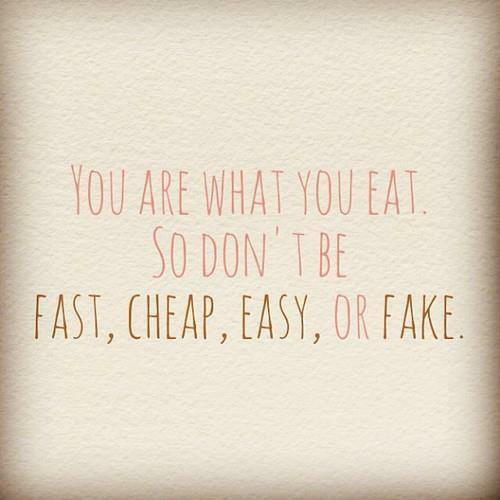 Is there really any point me reminding you that you are what you eat? Of course not, you know that. So when it comes to getting the skin you’ve always dreamed of, clearly there’s a remedy of the dietary variety. Forget medication or the vampire facial, by incorporating more of these foods into your diet, drinking loads of water and having solid skincare habits, you’ll be glowing in no time. 1. Rocket – This dark, leafy green is an excellent source of two of the keys to gorgeous skin: Vitamin A and sulfur. Not to mention that the chlorophyll in rocket is a potent detoxifier, too. Try a raw rocket salad topped with fresh herbs, radish, salmon and seeds for a ‘superskin’ salad in seconds. YUM! 2. Pumpkin Seeds – High in zinc and essential fatty acids including omega 3, omega 6, and omega 9, sunflower seeds help reduce inflammation in the body. Try them sprinkled on salads, in smoothies, or simply by the handful. 3. Radish – Raw foodist David Wolfe hails radish as one of the most beautifying of all foods. Radishes are high in sulfur, silica, and vitamin C, which work together to create glowing skin by boosting collagen, strengthening skin, and stimulating the circulatory system. Slice radishes into salads, or have as a snack on their own or with a dip. 4. Avocado – Clearly a no brainer! Avocado isn’t just one of the tastiest foods around, it also packs a powerful nutritional punch. Bonus tip: As good fats help you absorb more nutrients by slowing the digestion process down, I recommend eating avocado with tomatoes, carrots and capsicum to help you absorb up to five times more of the antioxidants lycopene and beta carotene – both massive skin winners. 5. Hemp Seeds – I’m pretty sure they’re still illegal in Australia but they are readily available at health food stores so I’m going with it. What’s so good about hemp seeds? Well, they’re packed with massive amounts of protein to help build strong hair, nails, muscle, and skin. and they also have the ideal ratio of omega 3 and omega 6 fatty acids (1:3), and even include omega 9, making them great for reducing inflammation in the skin. If you suffer from inflammatory skin conditions such as acne, redness, rocacea and even eczema, try adding hemp seeds to your salads or morning smoothie. 6. Salmon and other oily fish – Another great anti-inflammatory food, salmon is loaded with omega-3 oils. Look for the wild caught stuff over the farmed and enjoy it grilled with a super salad for dinner. 7. Chocolate – OK, let’s not start reaching for the Cadbury here. We’re talking unprocessed, raw chocolate also known as raw cacao. It’s much more bitter than the refined stuff, but the benefits of raw chocolate on both your skin and health overall are outstanding. Packed with antioxidants, this tasty little treat will definitely get your skin glowing. Add it to smoothies or homemade muffins or pretty much anything you can imagine. 8. Berries – Suffer redness? The good news is that blueberries are vascular constrictors, which assist in reducing redness in sensitive skin conditions such as rosacea and acne. In addition, if you have blotchy, dry, dull, or sun-damaged skin, eating blueberries on a regular basis can help leave skin looking clearer, firmer, and more youthful looking. They’re loaded with antioxidants, so nibble on them daily if you can. If they’re out of season get the frozen ones, and add them to smoothies or eat them with nuts. I would advise against adding dairy to your smoothie or eating any fruit with dairy, as reports suggest dairy blocks the absorption of nutrients and messes with the digestion of fruit. 9. Kale – When you talk superfoods, kale is top of the heap. Where do I begin? Kale contains more of the following nutrients that most other vegetable: beta-carotene, calcium, folate, iron, magnesium, potassium, and vitamins A, C, & K. It also smashes brussels sprouts out of the park, delivering 4 times more magnesium and calcium; more vitamin C than carrots or spinach, and more folate than broccoli. Eat it very finely chopped in salads, cooked through or dehydrated in the form of kale chips. Oh, and in green smoothies too, of course. 10. Water – Sure, it’s not a food but we know that our skin is our biggest organ, and like all our other organs it’s made up of cells. Our skin cells require water just as much as any other part of our body, and without it your skin looks dry, flaky and sallow. Up the ante on your water intake and you’ll instantly rehydrate all your cells, plump them up and have energy to boot. Bonus Food: Pomegranate! It’s pomegranate season so stock up on this antioxidant-rich treat while you can. Add it to salads or eat it alone, it’s a winner every time. Do you eat enough of these foods? Yep, just like that I’m back online and happily diving back into the swing of things. But that’s not to say that I’ve lost my post-holiday calm just yet, Happies. The past three weeks has been a divine experience shared with friends, loved ones, new acquaintances and, well, myself. There were brief moments of solitude when Alex snuck off to the gym or enjoyed yet another massage that I really cherished, allowing me to think and breathe and just enjoy being away. It was pure bliss! But now I’m back and ready to share the love, kicking things off with my Bali Hit List of places to stay, see and explore. Feel free to contribute and add to the list below so that this becomes a wonderful little resource for fellow Bali travellers. While I stayed in Uluwatu (if you stay around there head to Blue Point to watch the surfers) for the first week of my trip it was exploring Seminyak that really got me excited. This is the busy part of town. It’s hectic, polluted and full to the brim with tourist and shops and wonderful little eateries. We ended up coming into Seminyak almost everyday while staying in Uluwatu, making the 1.5 hour pilgrimage just because we could. Sure, it’s quite touristy and fairly hectic, but it’s well worth a visit. Zulu Vegetarian for amazing, healthy vegetarian fare. Sea Circus for their quinoa salads and juices. Motel Mexicola for a funky Bondi vibe and yummy tacos. Sarong for something super fancy. We stayed in the loveliest villas in Ubud called Kajane Mua (highly recommend it here) and spent our days exploring town, riding our bikes through the rice fields and hitting up The Yoga Barn. If there’s only one thing you do in Ubud, make it a visit to The Yoga Barn. They have the most glorious studios and about nine classes a day, offering everything from Yin to Shadow Yoga for something completely different. They also have an organic café on the premises, or the owner also has a café down the road with similar healthy, raw food. YUM! This is the side of Bali that is slightly less hectic, and a place to go and relax, repair and reflect on life back home. I loved Ubud. 3. Stay at Karma Jimbaran Bay! Jimbaran Bay is a fishing village not far from the airport and is a gorgeous place to stay if you want to be slightly out of the hustle and bustle. We stayed at the stunning Karma Jimbaran Bay Resort and had the luxury of our own four bedroom villa and plunge pool. It was truly amazing! The restaurant and spa at the resort were both first class, but if you walk across the road to the beach there are plenty of restaurants offering fresh fish of the day served grilled, steamed or fried with a selection of tasty greens, rice and sides. Your table is on the shoreline and the beach is littered with candles and fairy lights for a romantic setting that you’ll never forget. Karma offers smaller villas as well, but if you plan on travelling in a group (which we weren’t but we were spoiled anyway) then this resort definitely ticks all the boxes. They can also arrange day tours to cultural sites or adventure activities depending on what you’re into, but we ended up spending the majority of our time enjoying our villa. How could you leave something so nice, right? Just around the corner from the resort is the Jimbaran Corner Shopping Centre that houses the Bamboo Spa by L’Occitane. While there are plenty of cheaper options (hello, Bodyworks) this spa and the one at Karma offer world-class massages and treatments in a gorgeous environment. While you’re at the centre you can also pop into the Grocer and Grind for a chai and tasty breakfast. What places can you share? My time in Bali has all but come to an end as I enjoy my next destination – Singapore. But before I post my Bali Hit List with my favourite places to eat, sleep and see, I thought I’d touch on that common travel companion: trust. It dawned on me the other day that I hadn’t really touched on the notion of trust on The Happiness Cocktail. Strange, as it’s one of the key pillars in my life and, well, everyone’s life when you think about it. From the small, insignificant everyday things like trusting other drivers on the road or trusting your colleagues won’t nab your amazing quinoa chicken salad from the communal fridge, to deeper experiences like trusting your instincts, your sense of trust seems almost heightened on holidays. For me, I tend to relax a little more when I’m away. I want to learn and delve and play with the culture I’m experiencing and not let everyday worries get in the way. But on the flip side of that I also find I need to trust people more, and that’s not always an easy thing to do. Especially when you’re jumping into cabs (AKA a strangers car) with little idea of where you are or where you’re heading, or asking locals for their advice on where to eat or see. You just never know where you might end up. Overall I found the Balinese people to be incredibly warm, friendly and helpful. Never once did I feel unsafe or out of place. My instincts told me so. That little niggling in your gut that screams ‘when in doubt, get out’ that often gets ignored in favour of your head. Of course, the two are very different beasts. Trusting your gut is becoming a lost art form, but being able to tap into this wonder allows you to fearlessly go forward and make decisions you may otherwise have struggled over. If your gut. Your instinct. Your guiding light says ‘go ahead’ then jump right in with both feet. Ignore your head, push all those fears and uncertainties and insecurities aside (unless you’re doing something obviously dangerous) and leap with both legs. It will be worth it, I promise. Are you in touch with your instincts? I wouldn’t say the air is clear in Bali, but my mind definitely is. Taking a week to regroup, relax and rewind is, apparently, what I needed most in the world. It’s amazing the benefits that come from switching off electricals for a week. I suddenly have… space. And time. Lots and lots of time to enjoy the local food, activities and customs here in Bali. Right now I’m up in the mountains of Ubud, spending my days at the amazing yoga barn, getting massage treatments and riding my bike through the rice fields. I’m also enjoying a little too much of the local cuisine, but that’s a given when you’re on holidays, right? But it’s not all about R&R, I’ve learned some valuable lessons from the Balinese. They live simply here, with their strong sense of community and deep cultural traditions, it’s amazing how happy they are despite not really having that much. In essence, they’re the antithesis of our culture: they live in villages with their entire family rather than move out and fly the coup, they have few material possessions but are rich in love and spirituality, and they talk, smile, interact with one another rather than looking the other way and pretending their fellow man is, in fact, standing right beside them. Ultimately, there’s a sense of community here that doesn’t really exist at home. And so, in lesson one of ‘Life in Asia’ I’ve realised once again that family values, friendship and community reign supreme yet again. So on that note, I’m off to call home. Are you lucky enough to have a strong community back home? When was the last time you switched off and tuned in?